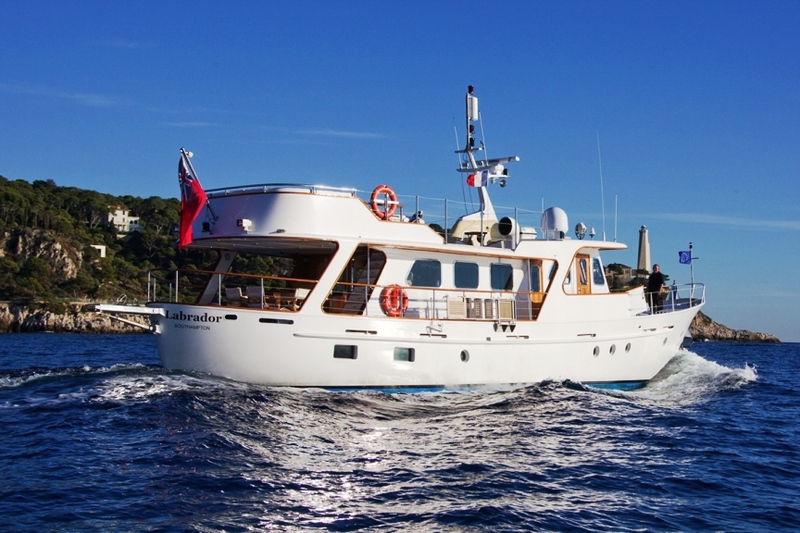 Yacht LABRADOR is a Classic Feadship Motor Yacht built in 1965. In 2007 LABRADOR underwent a full refit and was restored in her natural classic style and she remains in excellent condition with all the classic charm of a by gone era. 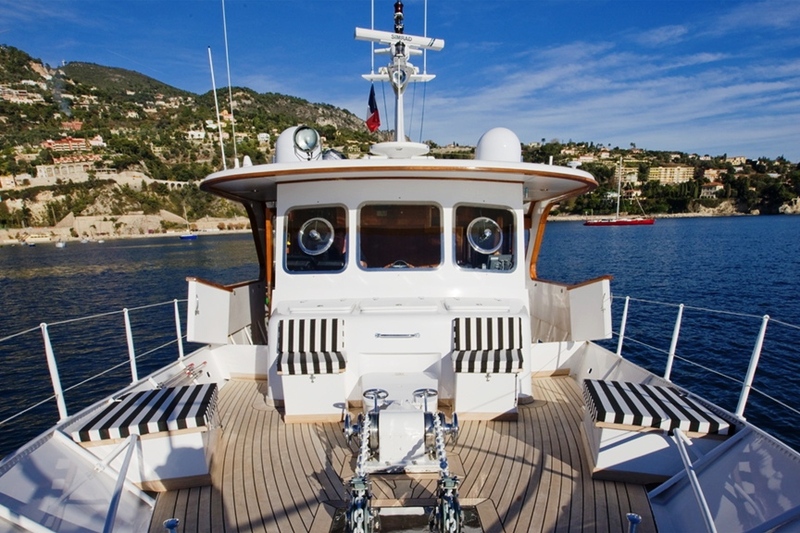 During the refit the owner spared no expense in restoring the classic exterior of the yacht whilst adding modern touches to the interior to combine classic elegance with modern convenience. 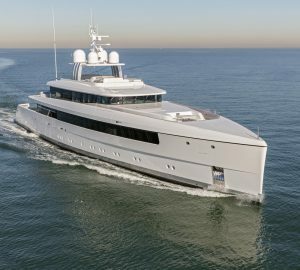 Motor Yacht LABRADOR has a steel displacement hull and cruises at a leisurely 10 to 14 knots consuming only 95L of fuel per hour. 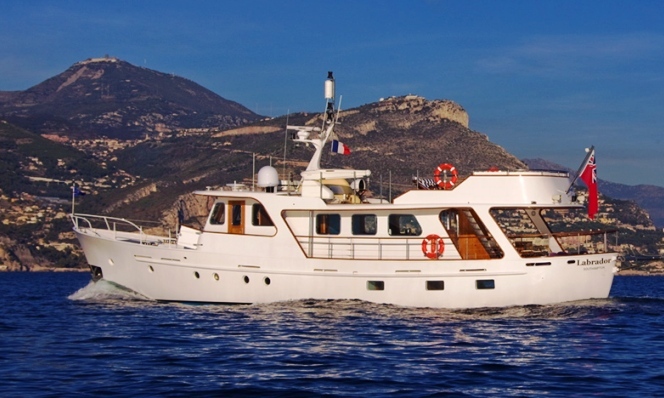 If you wish to simply sit back and ensure the pleasures of the Mediterranean at a relaxed pace, Motor Yacht LABRADOR is an excellent economical charter option. 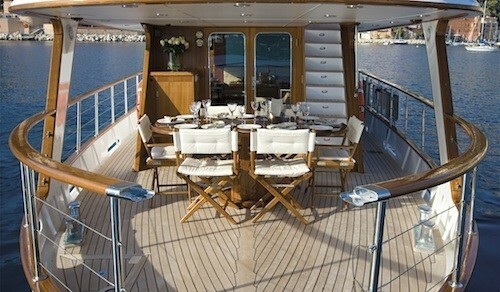 LABRADOR offers comfortable accommodation for six guests in three cabins. 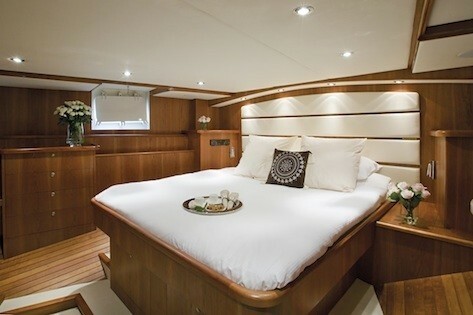 Her master cabin is equipped with a large centreline king sized bed. 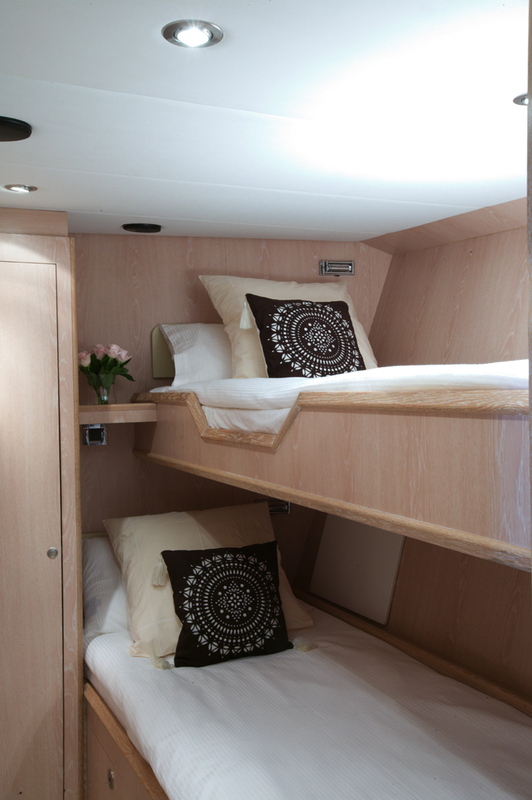 There is one double cabin and one twin bunk cabin. 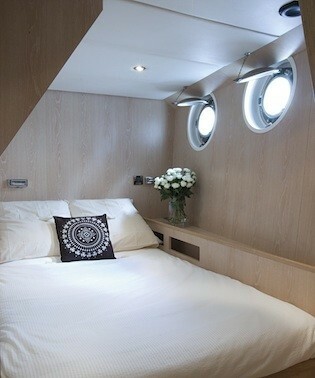 Each cabin in finished in cool modern decor with light woods and cool tones which create a feeling of spaciousness. 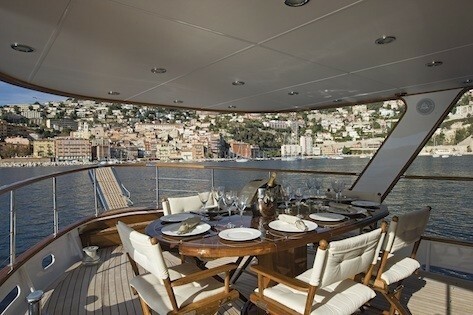 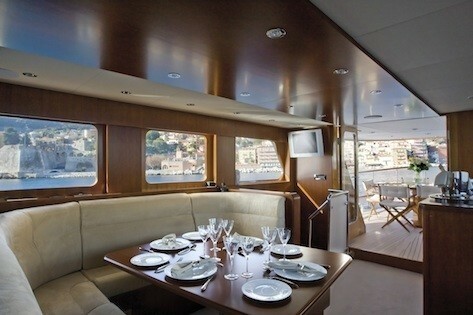 Outdoors LABRADOR has an alfresco dining area on the main aft deck plus a relaxation lounge area on the sundeck. 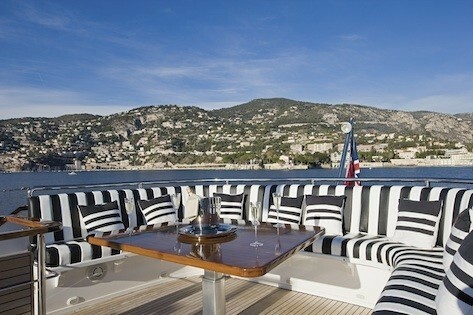 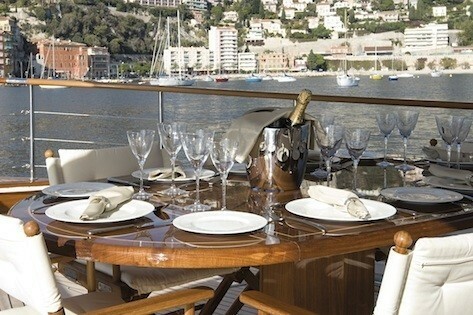 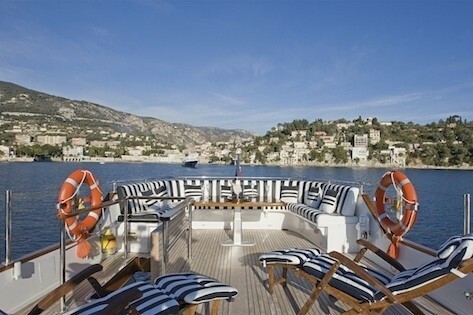 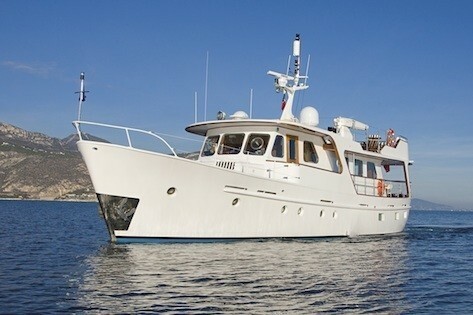 Classic Motor Yacht LABRADOR comes with a professional crew of two including a Captain and a cook/steward. 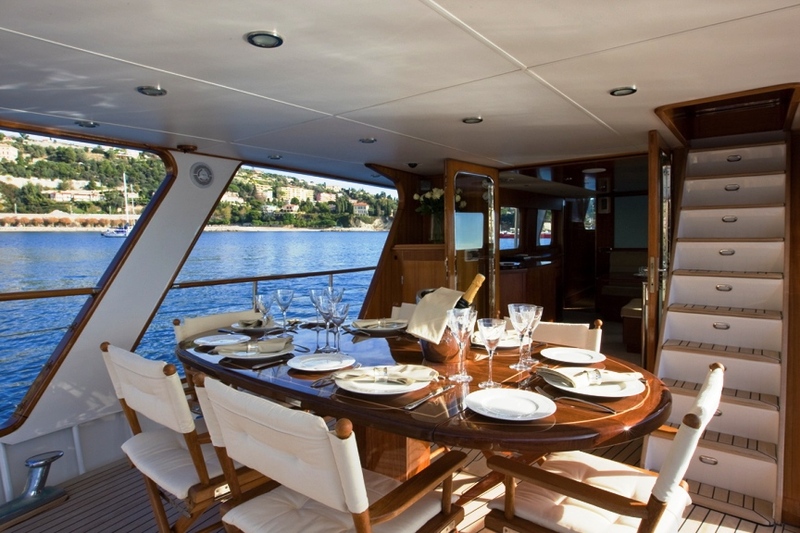 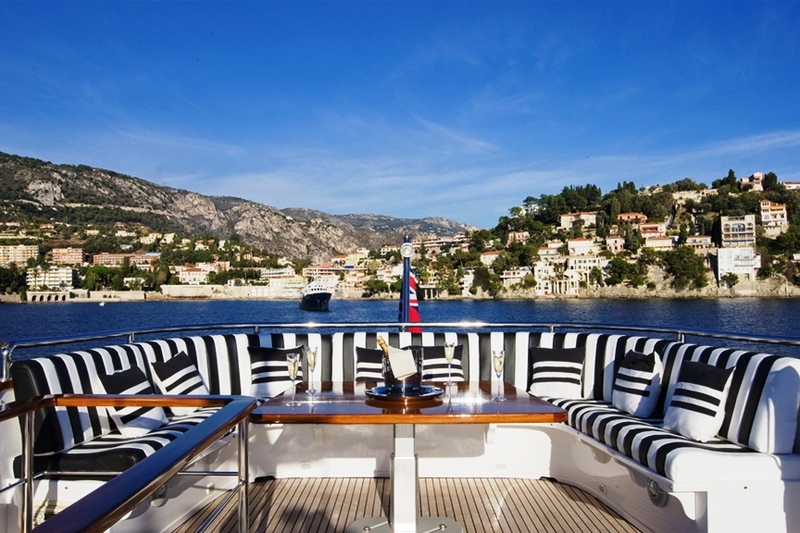 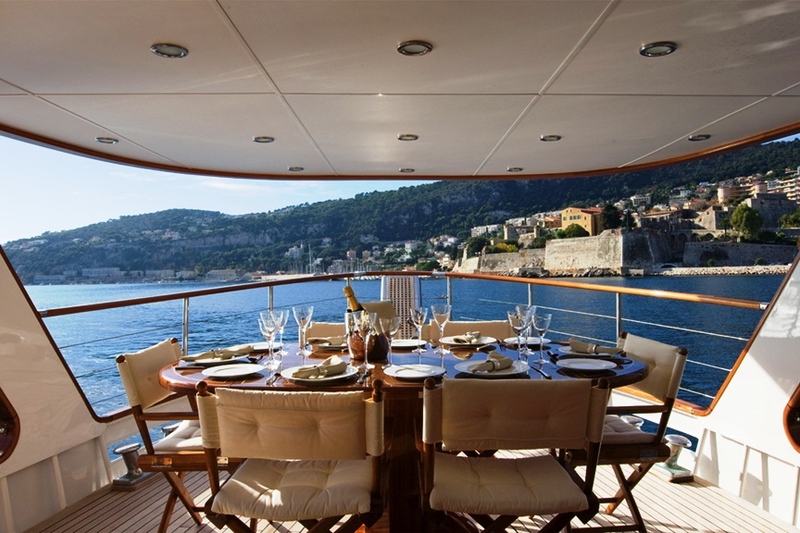 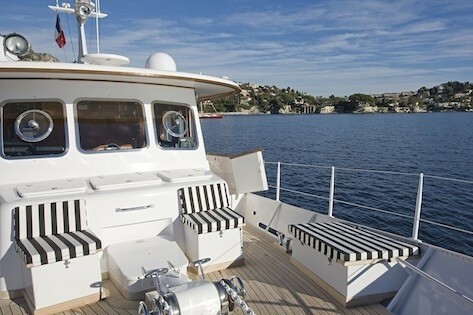 Classic Motor yacht LABRADOR offers comfortable accommodation for six guests in three cabins. 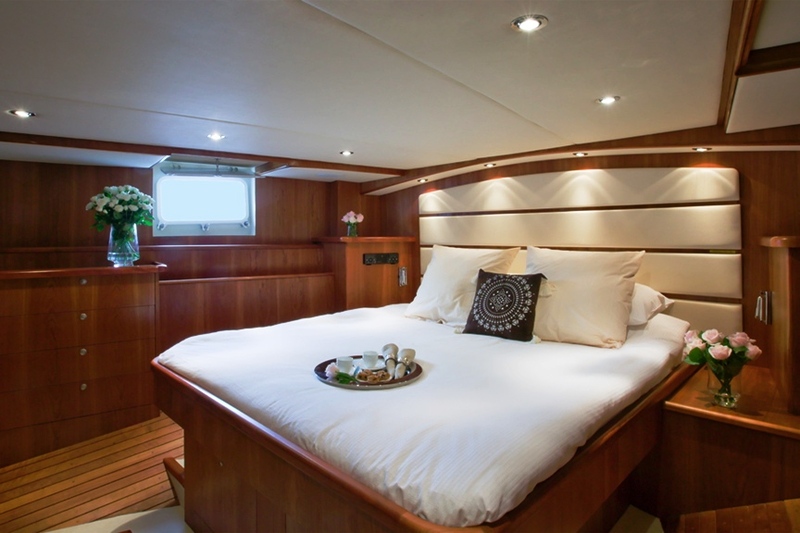 Her master cabin is equipped with a large centreline king sized bed. There is one double cabin and one twin bunk cabin. 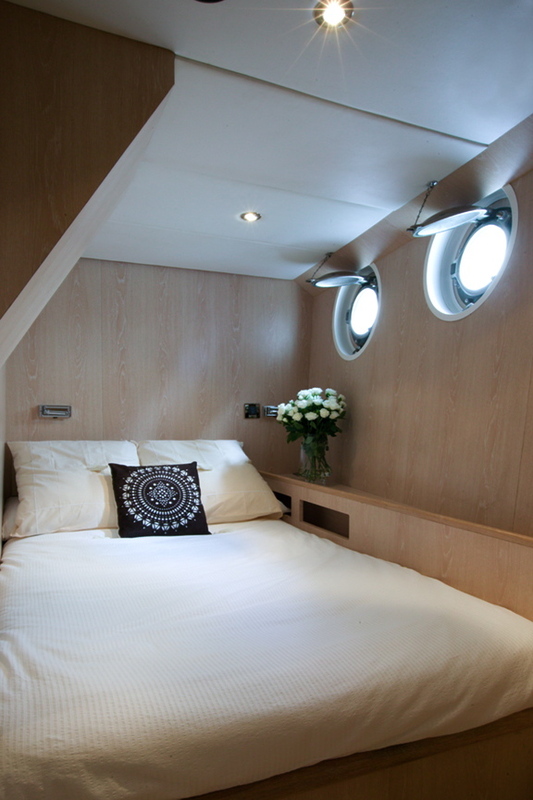 Each cabin in finished in cool modern decor with light woods and cool tones which create a feeling of spaciousness. 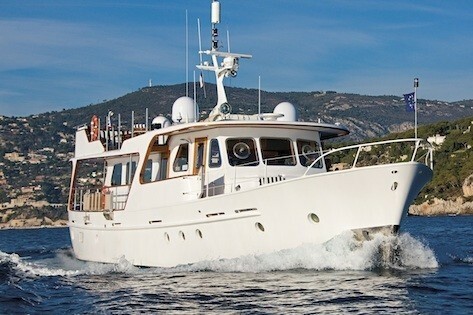 Classic Feadship Motor Yacht LABRADOR is equipped with a 4.1m Zodiac 40HP, sea scooter, water-skis, wake board, donut, snorkeling equipment and fishing gear, BBQ on sun deck. 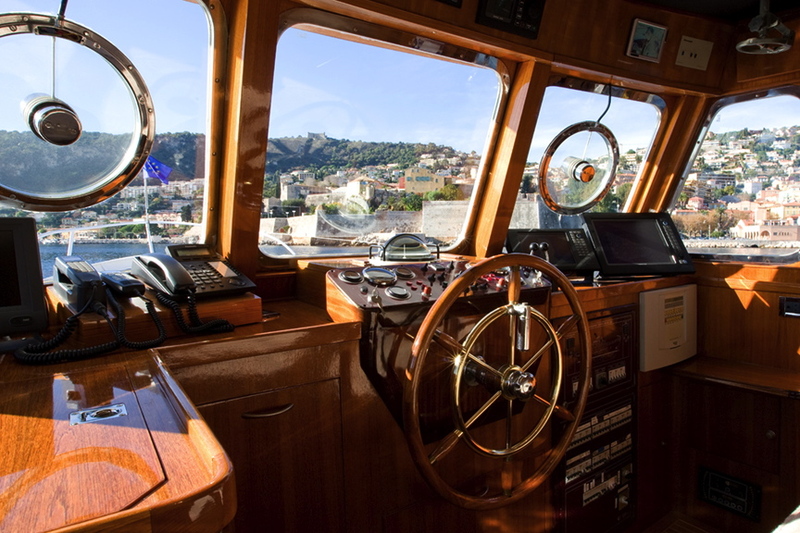 Communications onboard includes: Furuno immarsat C mobile earth station (Felcom 15 STD C), Furuno VHF (FM 2721) with DSC modem and CH 70 watch receiver, Fleet 55 TT 3088A, Ericcson F 251 M GSM, Sea Tel 2498 SE, Nokia Media MAster Sat receiver, Panasonic KXTO 1232 PABX system, Segam phone/fax, Linksys wireless routers for wifi connection, 4 Computer connection ports, 4 wireless phones. 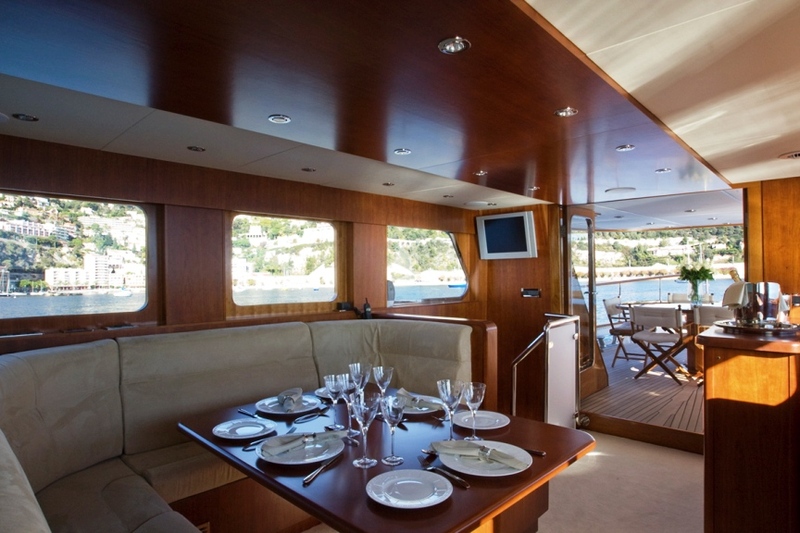 Audio Visual Equipment includes includes 5 Sharp TV's, 2 Lynn Audio systems with full surround sound DVD/CD players, 2 Phillips DVD players, 1 Panasonic DVD player, 2 Marine waterproof CD players on aft deck and sun deck, Wifi.